Did someone say farm and florals for a cake smash session? Sign me up! 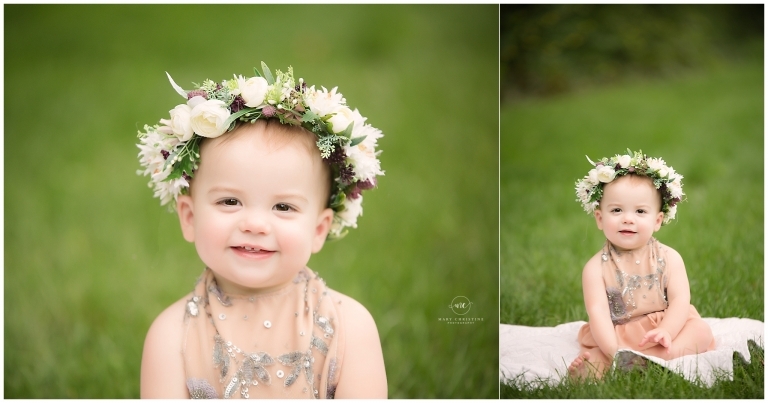 I had SO much fun creating this adorable set for these sweet twin girls! Although the day of their cake smash session was hot (like, smoking hot), Lily and Sienna were still happy. What little troopers! 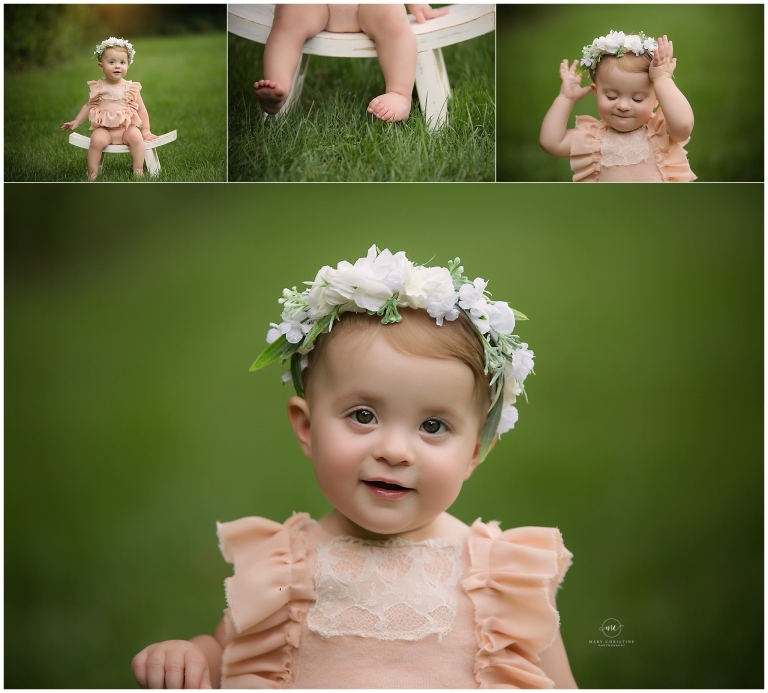 I LOVE a good floral crown and this one from Cora Violet suited the bill for the theme of this session. Oh those little grins are just so precious! Since we went with all neutrals for their six month session, we added some color for their cake smash session. I love monochromotic color schemes, especially with soft colors! The added pop of soft colors just adds a little whimsical touch. 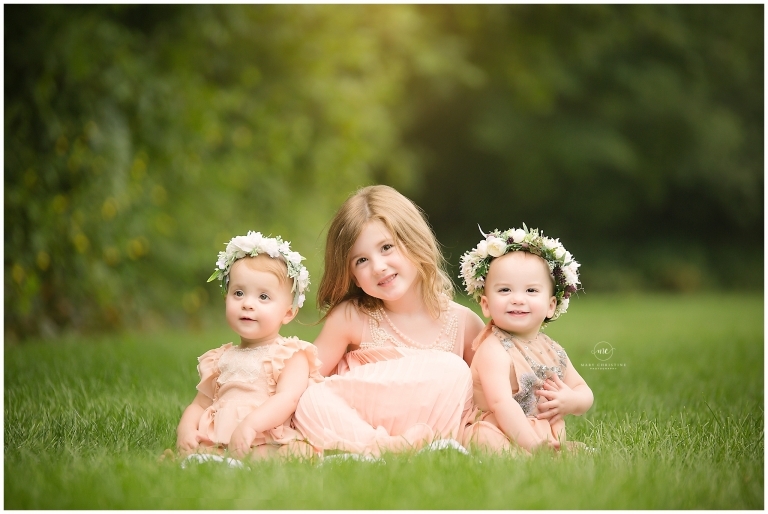 I know Photoshop gets a bad rap sometimes, but it can come in super handy when you have two super active toddlers and a big sister! When you can’t get everyone to look at the same time, sometimes you just have to use a little magic to make it happen. Which let’s be honest, is SO much better than trying for an hour and torturing everyone involved. Can I get an Amen?? The inspiration for this cake smash session set came from walking down farm house aisle at Hobby Lobby, which if you know my love for everything farm house, it was my dream come true! This slightly rustic, floral set is busier than my usual cake smash set, but I love it so! Add in two adorable little girls, cakes from A Cupcake A Day- I don’t think it gets much better than that! Well, that’s a wrap, friends! Thank you so much for stopping by the blog! Are you celebrating a first birthday soon and thinking about a cake smash session? I would love to hear from you today!